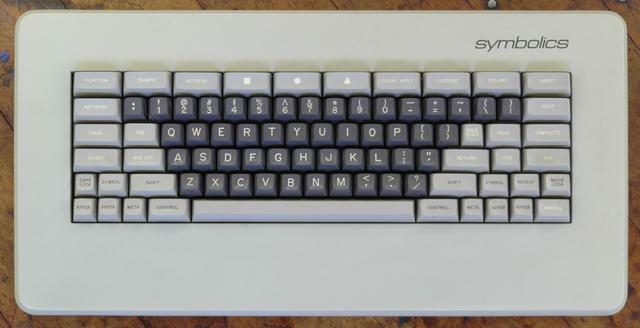 Lisp Machines were famous for their exotic keyboards. Symbolics was the most successful of the lisp machine makers. These are two of their keyboards - the legendary "Space Cadet Keyboard" from the LM-2 model (1981), and then the original keyboard for the 36xx series (1983).